Capturing the spirit of the season, when the electronic music community leaves its darkened rooms and heads back to nature, Feathered Sun are here with the perfect accompaniment. The six-strong collective have appeared once before when they delivered the first release on Platon Records, and now they return with another three tracks that live and breathe with an organic band dynamic that can only be wrought by many hands working in unison. The loose-fit Berlin-based crew is comprised of NU, jO.K.e, Raz Ohara, Chris Schwarzwaelder, Iannis Ritter and Acid Pauli, and individually you may have experienced their music in many other places. As well as being peers in the music scene they are all real life friends, and Feathered Sun is the manifestation of their lives spent together jamming wherever the mood is right, not confined to rigid studio sessions and release deadlines. 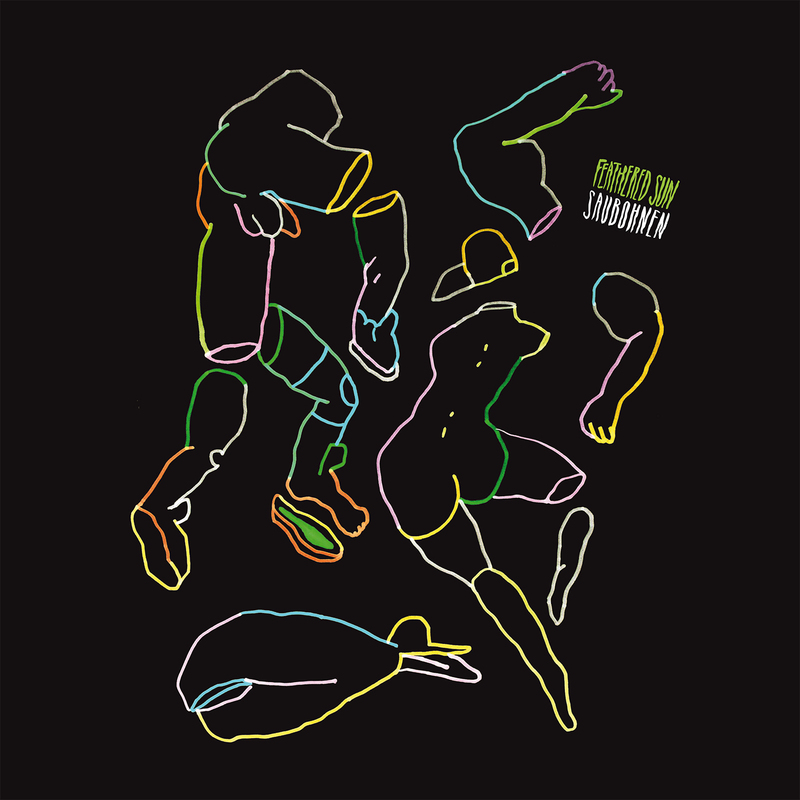 This natural, easy-going atmosphere lingers all over the three tracks on the Saubohnen EP, as playful vocal intonations meet with live instrumentation over laid back grooves made without a need for hype or drama. It feels like the soundtrack to a perfect idle summers day spent amongst friends, while still maintaining a necessary bite to keep toes tapping and the vibe lively. Legend would have it that the Feathered Sun sound is just as likely to have been crafted in a retreat in Peru as surrounded by the wives and kids, let alone in more conventional musical environments. It is that down-to-earth spirit that makes their sound so instantly familiar and easy to get along with, reflecting real life and love outside the self-less mass identity of the dancefloor.